At Greentherm, we do not believe in ‘One Size Fits All.’ All our solutions are tailor-made to fit the changing dynamics of your home. Greentherm systems offer flexibility, efficiency and most importantly, reliability. Our systems are designed to work for you, year in and year out, in the hottest summers and darkest winters giving solid, reliable performance. We offer optimised heating and ventilation solutions for both new-build homes and for retrofit to existing buildings, honed by years of experience in the Irish market. The Hitachi Yutaki heat pumps offered by Greentherm are designed specifically to meet the needs of the Irish market. These cutting edge heat pumps are capable of Coefficient of Performance (COP’s) of up to 4.28 and range from 7 to 14kw heat output in single-phase, with larger models available in three-phase. 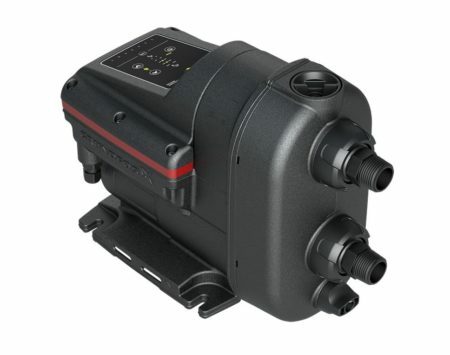 Efficiency is ensured by a soft-start compressor, with inverter control allowing the Heat Pump output to be varied according to actual demand and ensuring flexibility of response and long life. 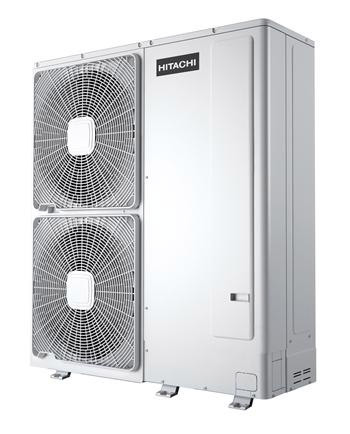 Hitachi Yutaki Heat Pumps from Greentherm offer the flexibility to change your life. We design our systems to work specifically in the Irish climate, customised your exact requirements, ensuring a system that responds rapidly to changing weather conditions and maintains a stable, comfortable home temperature all year round. 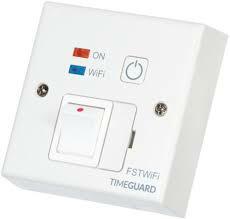 We are capable of designing and supplying systems for both home and commercial installations. 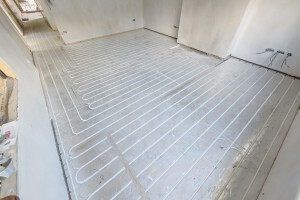 We can supply and install underfloor heating for retrofit and new-build homes. 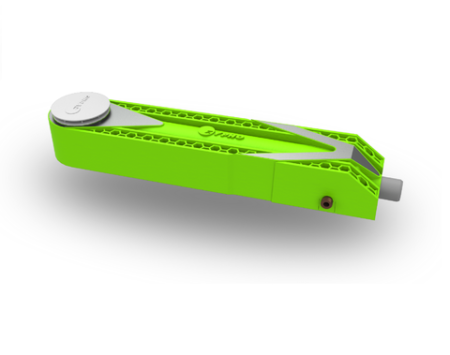 Engineered design for your home. Suitable for almost all floor finishes. The DCV systems we supply include humidity sensors on the grilles and inlets that automatically react to occupancy levels of the environment. So when adults and children are not in the home the systems reduces the airflow accordingly. When space is occupied, and used for cooking, cleaning, living, the same sensors boost ventilation intuitively. The systems are silent, there are no filters to change, plus no Hi-Tec controls for the occupant to use, simply fit and forget. Efficient ventilation based upon occupancy. 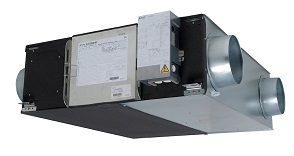 Click here to learn more about DCV and the different type of ventilation. 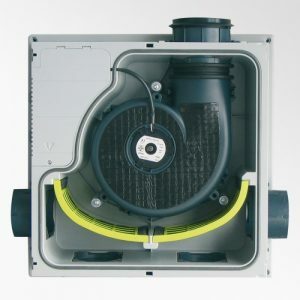 Greentherm Heat Recovery ventilation systems offer a cost-effective way of delivering fresh air to living spaces while extracting humid and stale air. Furthermore, our Mitsubishi Lossay ventilators are capable of recovering up to 80% of the heat in extracted air, pre-warming the incoming air, keeping valuable heat – and money – from being exhausted to the open atmosphere. Greentherm Heat Recovery ventilation systems are ideal for meeting the Part F of the building regulations. Suitable for part L compliance. Click Here to see why efficient ventilation is important for your home. Contact Us for more information. 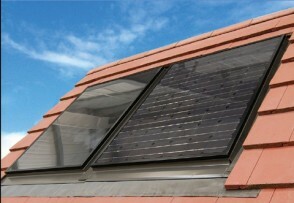 Greentherm are the sole agent in Ireland for Viridian Clearline Solar Panels. Viridian Clearline Solar Panels are designed specifically to meet the challenges of the Irish climate and are the only solar panel available in Ireland to be certified as a structural component of the building roof with a seal design life of up to 60 years. Furthermore, Clearline Solar Panels are the only solar panel available in Ireland with a 10-year salt-water guarantee for coastal applications. Clearline Solar panels can be integrated into the roof structure, or mounted on the roof as required and can be installed on a Drainback or Pressurised system. Reliable pressurised or drainback systems. Greentherm offers the Viridian Clearline range of solar photovoltaic panels. These panels are designed specifically for the unique conditions imposed by the Irish climate and come fully certified as a structural roofing component. 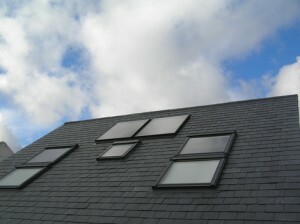 Clearline is the only in-roof solar photovoltaic panel available on the Irish market today. Viridian Clearline Solar PV has the same on-roof footprint as Clearline Thermal Panels, allowing both Solar Thermal, and Solar PV to be neatly combined in one integrated solution. Solar PV is ideally suited for new-build homes looking to achieve their Part-L renewable energy contribution requirement. For more information on Solar PV from Greentherm, click here. Greentherm Thermal Stores and Domestic Hot Water cylinders are custom manufactured to order. 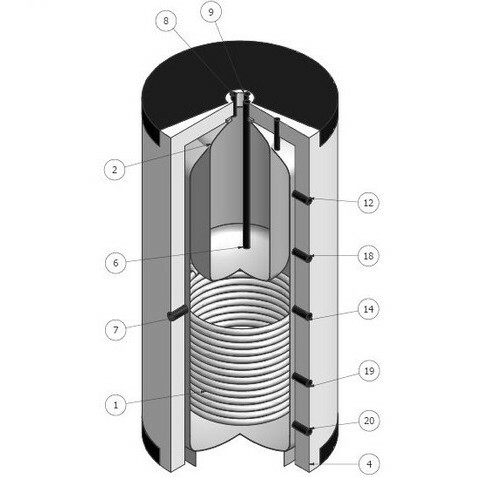 Our cylinders are manufactured from high-quality Marine Grade 316L stainless steel, offering superior corrosion and crack resistance to lower-grade Duplex steels used by competitors. Available with or without pressurisation kits, Greentherm hot water cylinders are ideally suited to the harsh water quality found in certain parts of Ireland, resisting attack from chlorides and other contaminants. Peace of mind is priceless. All of our cylinders are backed by a ten-year warranty* against leakage. Click here for more information. In today’s world where so many products are cheaply made, Arroll represents a move back to beautiful and functional artefacts that are made to last. And last. 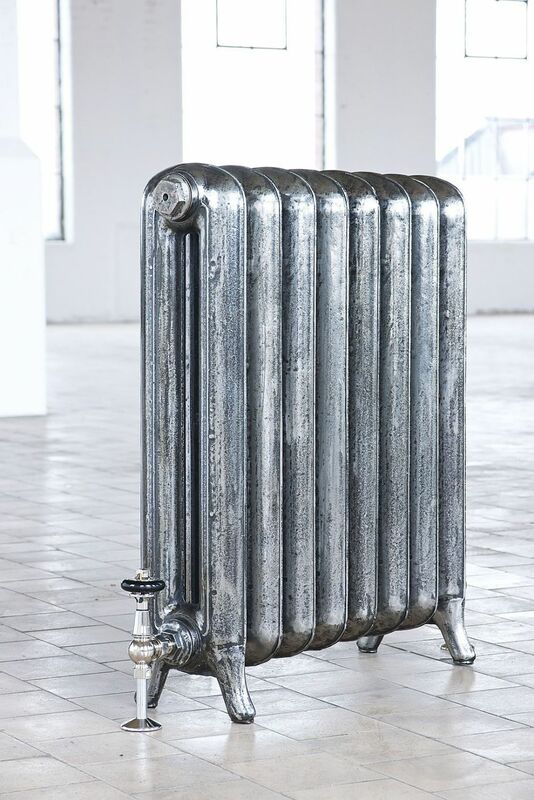 Arroll cast iron radiators have an elegance and easy glamour that will complement all kinds of interior styles. Few household appliances combine such classic beauty with extreme functionality. 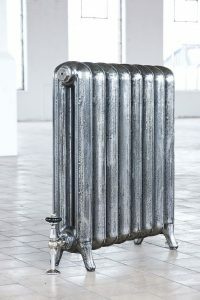 Click Here for more information on cast iron radiators.